I was raised in a relatively orthodox Jewish family in the 1950’s, and had a bar mitzvah at 13. But if you had asked me about the meaning of the words I read from the Torah, I wouldn’t have been able to tell you. If you’d asked me how I felt about God, I would have said “I don’t know”, and “who cares”. By the time I was 14 I wanted nothing more to do with religion, and thought that God was a meaningless concept. But just three years later I had a direct intervention from Spirit that left me no doubt whatsoever about the existence of God. 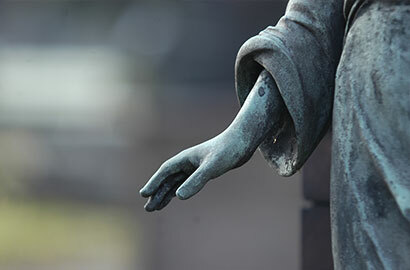 My experience was as real to me as my own hands, but had no apparent connection to any religion. As the years passed, my experience of spirituality evolved, and did so in the context of a broad cultural movement in the United States away from religion, and toward a kind of generalized belief in God. Although millions of people still went to church and synagogue, I found no shortage of people who felt as I did—that God was everywhere, and religion was unnecessary. As I grew older, I continued to undergo transformative and sometimes startling spiritual interventions. But remarkably, these experiences eventually began to center around prominent figures in the Catholic Church. This happened though I knew virtually nothing about the Catholic religion. Never the less, I was having transcendent experiences involving the presence of Jesus, Mary, Francis of Assisi, Archangel Michael, and the 20th Century saint, Padre Pio. These great spiritual beings have become very real to me, despite my seldom setting foot in a church, and never having gone to confession or received communion. So in a way, I’ve managed to get what most religious seekers are after, that feeling of connection to the Divine, without ever cracking open a religious book. But that’s just me. For millions of people, religion offers the best and only way of connecting to God. And many are able to connect very deeply, and gain tremendous strength and satisfaction through religion. So why is it, that even though millions of people still seek worship God through organized religion, millions of others are now looking elsewhere? Why is this huge split happening? I think it’s because religion and spirituality as we know it is in a huge transition. Religion was created as a way to help move civilization forward, and to institutionalize spirituality so it could be distributed far and wide. Religion has God in it, but it also has man’s stamp all over it. That means we can still go to religion for the essence of spiritual connection, and find it there. But the outer form of religion has been tainted by our greed and misunderstanding. I think that even while it’s still serving its purpose for many, in many ways it’s quite outdated. And because religion is so institutionalized, it tends to be very slow to transform. In its current state, for many of us, we’re better off finding our own way to pray and connect to God, individually. All the world’s religions are still tremendously valuable, and serve a crucial purpose. But I believe that religion needs to get much more honest, relevant, and real if it is to truly fulfill its potential to serve humanity. And I do think that it’s slowly heading in that direction. But while that’s happening, those of us who seek God outside of religion also need to get much more honest, reverent, and devoted. Religion has ridged rules for us to follow, and tells us exactly how we should pray, so we don’t have to do the messy job of looking within and trying to figure all that out. But when we give up the outer rules of religion, we have to assume the responsibility to listen and follow what our higher connection tells us individually, from within. It doesn’t matter whether you call it God, the Universe, or something else. We still have that same responsibility, and it’s a lot more work. What we see currently is a more of a summer break mentality. We’re free to loose the idea of sin and hell, but don’t quite know yet what it means to live fully in love. Doing that takes a great deal of commitment, honesty and introspection. If we are truly moving beyond religion toward personal spirituality, we’re still in the adolescent stages of doing that. So, assuming we do all take more personal responsibility for making ourselves better, does that mean religion losses its relevance? I don’t think so. But it’s going to change. Like everything else on Earth, religion is evolving. You know the old expression, “Be patient, God isn’t finished with me”? That applies to religion too. So rather than judge religion for its many imperfections and out of date views of life, why don’t we send it love so it can heal, and grow, the same way we all need to? Sending love is never a bad idea. It always comes back to us, even as we’re sending it. I’ve developed quite a few programs to help us all make deep, meaningful connections to great spiritual figures. 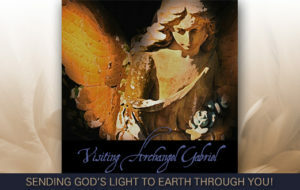 Guided meditations like visiting Saint Francis, Visiting Angels, and many others. You can find those programs, and all of my work, at The Healing Waterfall dot com. Thank you for listening.